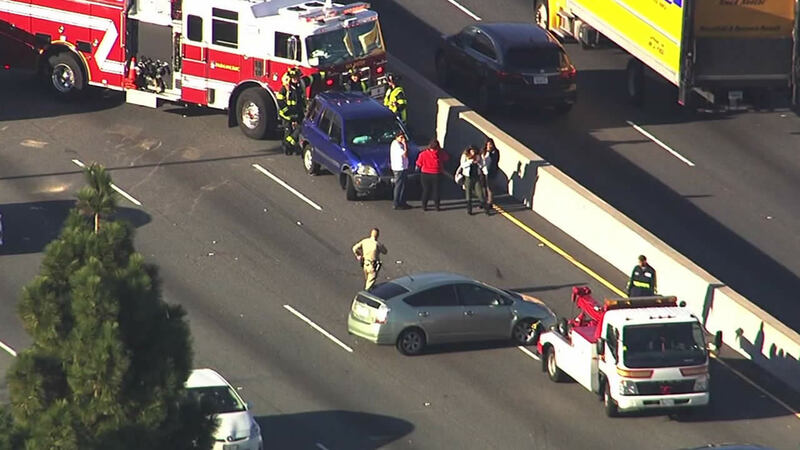 SAN MATEO, Calif. (KGO) -- CHP officials are investigating a four-vehicle crash that has prompted the closure of four southbound lanes on Highway 101 in San Mateo this afternoon. The crash was reported between Poplar and 3rd avenues. Lanes reopened just after 3 p.m.
Officials said there is heavy traffic on the highway and warning drivers to avoid the area. Update: Southbound US-101 at Poplar Ave in San Mateo County, All Lanes are Now Open.